Home Newsletters What’s Happening in December 2018! What’s Happening in December 2018! Goofy is what you would be if you didn’t join us on Friday, January 18th at the Crow River Winery. Prom officially kicks off at 5:30 PM and will wrap up at 10:00 PM. Pull out your vintage 80s punk fashions: studded leather jackets, ripped jeans, band t-shirts and heavy duty boots -or- 80s workout fashions: leotards, leg-warmers, headbands, neon leggings and bike shorts! Also, encouraged is 80s prom fashions… guys in pastel tuxedos with frilly ruffles shirts, girls with bow embellished puff sleeves on a baby-pink dress with hairspray teased hairdos. Get our drift – costumes are highly encouraged! To register for the 2019 Annual Chamber Event, 80’s Prom – A Night Under the Stars, use the online Annual Event Registration Form or by mailing/emailing a printable Annual Event Registration Form (pdf) to the Chamber by Friday, January 11, 2019. 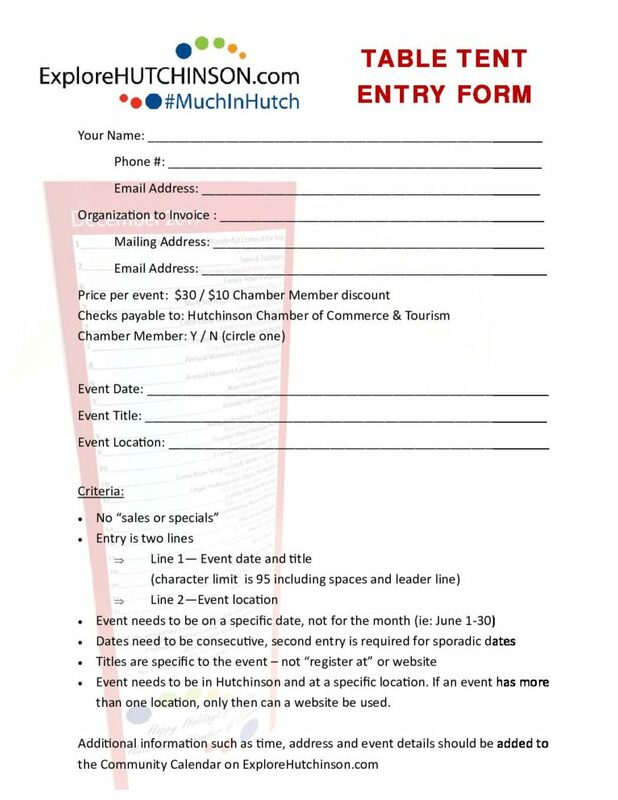 Each year the Hutchinson Chamber teams up with the Hutchinson Jaycees to thank the people in our community that are doing extraordinary things! We all know a few people who deserve to be nominated; so take a few minutes and nominate them today. These people rarely get the appreciation they deserve. Community Award Nominations must be submitted by Thursday, December 20, 2018. Submit your nomination using the online Community Aware Nomination Form or by mailing/emailing a printable Community Award Nomination Form (pdf) to the Chamber by Thursday, December 20, 2018. Awards are given for: Business Person of the Year, Volunteer of the Year, Teacher of the Year and Young Leader of the Year (under 35 years of age). A recipient can only win an award in any given category once – nominees who have won a specific award in years prior cannot be considered for that award again. Award winners will be recognized at the Chamber Annual Event on Friday, January 18, 2019. Award winners will be video-taped prior to the event, as well as possibly the nominator. Award winners will be informed of the awards before the event. Award winners will attend the event at no charge. The University of Minnesota Extension and the Hutchinson Chamber are proud to be hosting the 2019 Crop Management Input Seminar. The seminar is set for Thursday, December 6, 2018 from 9:00 AM to 2:15 PM at the Hutchinson Events Center. The seminar will provide education on crop production, brain health and cash flow planning, as well as handouts and a catered meal. Also, the 2018 Ag Person of the Year will be announced at the event. RSVP were due to the Extension Office on Monday, November 26, 2018. Questions should be directed to the Extension Office by phone at 320-484-4334 or by emailing mnext-mcleod@umn.edu. Taste of the Holidays – Thank You! The Hutchinson Ambassadors and the Hutchinson Chamber would like to thank you to the businesses that participated in Taste of the Holidays! Great food, great music and great networking! Once again, a sell out event! A special thanks goes out to everyone that attended. This event would not be such a huge success without you! 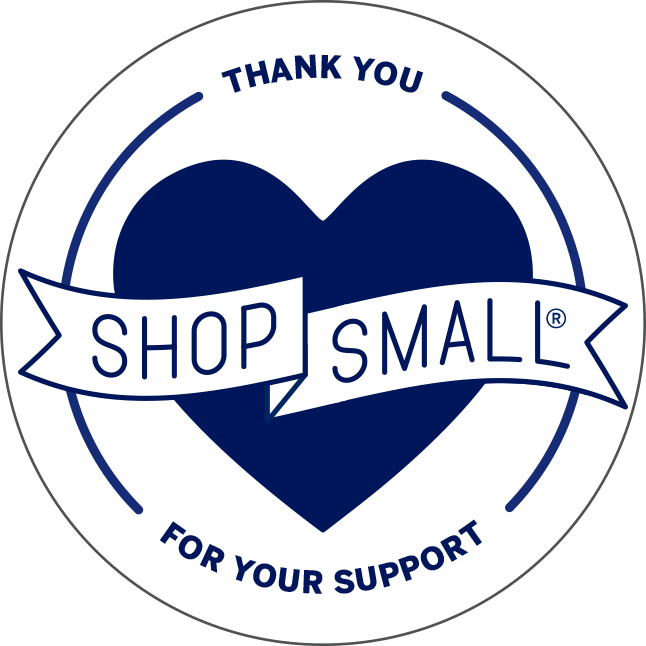 Small Business Saturday – Thank You! What happens when you mix approximately 300 people and 144 ping pong balls? Well a great time, of course! Thanks and gratitude go out to the everyone that came out on Small Business Saturday to shop local. This year we had an adult and kids ping pong ball drop. Dare I say that everyone had a bouncing good time? A special thanks to all the businesses that participated this year in the Chamber’s Small Business Saturday marketing campaign as well as those businesses that donated gift cards for the event! The day would not have “bounced” if it wasn’t for you!!! SHOUT OUT… to Valley Sales for providing cookies and cider for the event and also to Landy Lodge Bar & Grill for coming out with warming beverages!!! Once again, the Chamber Board of Directors, Hutchinson Ambassadors and the thinkLOCAL Committee donned their red scarves and masqueraded as the “Red Clad Elves.” Hats (or scarves) off to them and the excellent work they do! They were out and about in Hutchinson surprising shoppers with gift cards to pay for their local purchases. Check our the Hutchinson Chamber’s Facebook page for photos and the 2018 Ping Pong Ball Drop. We would like to welcome our new members to the Hutchinson Chamber of Commerce! We also want to thank the following members for renewing their partnership with us! New Era Financial Group, Inc. 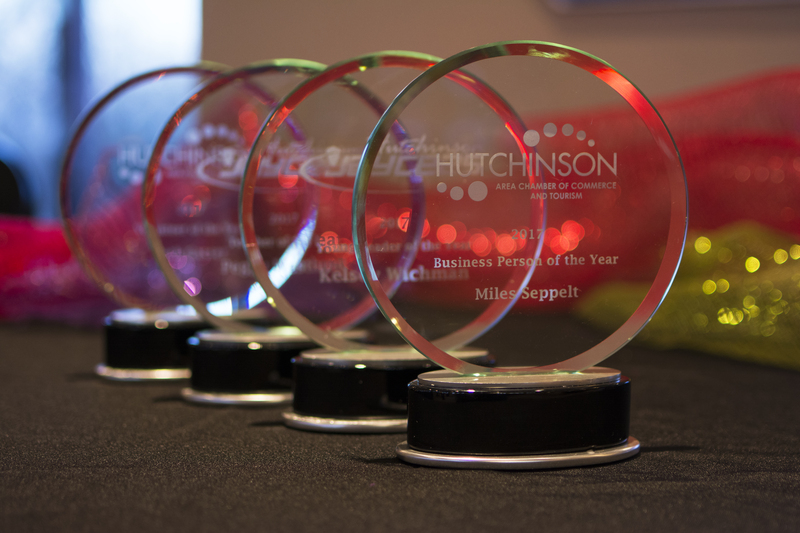 The Hutchinson Ambassadors serve as the welcoming and social arm of the Hutchinson Chamber by actively supporting and promoting Hutchinson and its surrounding business community. The Ambassador’s Facebook page is a great place to see photos of all the visits and other special events hosted by the Ambassadors. You may have seen our Ambassadors around town – you can recognize them by their blue shirts and friendly smiles. They welcome new business openings, as well as, celebrate business renovations and milestones with an Ambassador Business Visit. Business After Hours is a great way to learn about businesses in Hutchinson and network with fellow Chamber Members. This is a way to get behind the scenes in our local businesses… to see what they make, do or provide. This monthly event is Chamber invitation only and is open to all Chamber Member business employees. Businesses interested in a hosting Business After Hours event or would like more information should email the Ambassadors. If you are the only primary representative with your business receiving emails from the Chamber, please invite all your employees to join us! Preregistration is strongly encouraged, so our business hosts may plan accordingly. December’s Holiday Business After Hours will be held on Wednesday, December 12 from 4:00 PM to 6:00 PM (NOTE DATE CHANGE) at the VFW Post 906 on 247 1st Ave in Hutchinson. Holiday Business After Hours – Wednesday, December 12 4:00 PM to 6:00 PM at the VFW. Click here to register online for December’s Holiday Business After Hours or call the Chamber at 320-587-5252. The rest of Mary’s article can be found on December’s Something from Mary blog. Quarter 2 Table Tent Deadline is March 1, 2019! The Chamber prints and delivers over 900 table tents around the community. Are you looking for a way to boost an upcoming Hutchinson event? Make sure you get your event added to the Chamber’s table tents. The cost is $30 per event listing for community members and Chamber Members receive a $10 discount per event listing. Also, if you submit an event to our table tents, make sure to add it to our Community Calendar. The Community Calendar averages about 100 views a day, so don’t forget to utilize it! Submitting an event to the Community Calendar may be done through your Chamber Member Portal or directly on the Community Calendar page! The deadline for Quarter 2 (April, May & June 2019) is March 1, 2019. If you want table tents delivered to your business or if you want to submit an event for an upcoming table tent, please contact Gina by phone 320-234-0786 or by email gina@explorehutchinson.com. More Information for your Business to Grow!